Over 70% of people that leave your website will NEVER return. Gone for good. Unless you can capture their email address, you will never have another chance to speak to them again. If you get their email address, however, you can speak to them anytime you like. As often as you like. And for free. Furthermore, your email list is the only marketing channel on the web that actually belongs to you. Your Facebook traffic, Likes, and Pages don't belong to you and can be taken away at any time. 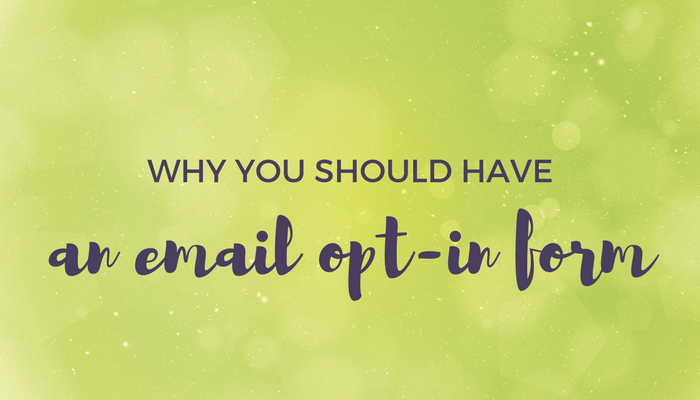 Your email list is a huge asset for your business. It's a group of people who are interested in your business that you can contact whenever you like. It's a goldmine! Visit Mailchimp.com or Convertkit.com and sign up. Add the signup form on your site. Bonus points for including a special PDF or offer if they sign up to your list.